If you’re a regular reader you will remember a couple days ago I wrote about a free pumpkin I picked up. So, as you can imagine, I have a lot of pumpkin hanging around. As I often do I look through my refrigerator for recipe ideas I can make from ingredients I already have on hand. This time I found 3/4 of a container of Balkan-style plain yogurt. It's as easy as just mixing everything together. The bug bear about plain yogurt is you can’t buy it in small containers. Most recipes call for only about one cup. So you always have some hanging around if you purchased a container for some other recipe. I did, and do, so I decided to use some to make pumpkin frozen yogurt. Pumpkin, yogurt, sweetener, flavourings... that's about it. To gild the lily I incorporated a double dose of all the spices that go into pumpkin pie. So “technically” this is pumpkin pie frozen yogurt. It kind of tastes like pumpkin cheesecake. Yum. Yogurt is good for you so frozen yogurt must be as well, right? Not so fast. Here’s a couple myths about frozen yogurt. Frozen yogurt is not as full of probiotics as yogurt. Although frozen yogurt will contain some probiotics most of them are killed off by the freezing temperature. Extremes high or low will kill much of the healthy bacteria. So it’s not low fat and not full of probiotics. Who really cares. The yogurt – even full fat – is better for you than heavy cream. Mind you, I countered that by adding a can of sweetened condensed milk and some maple syrup. Before freezing the ingredients measure just under 6 cups. If you have an ice cream machine this will turn out luscious and smooth. My Donvier crank ice cream freezer is packed away in anticipation of moving, so it was a bowl and whisk for me to freeze it. If you find yourself with extra pumpkin – even leftover pumpkin from a can – give this one a test drive. You’ll be glad you did. I think I’ll go have a little right now. parts of the yogurt that forms at the edge. 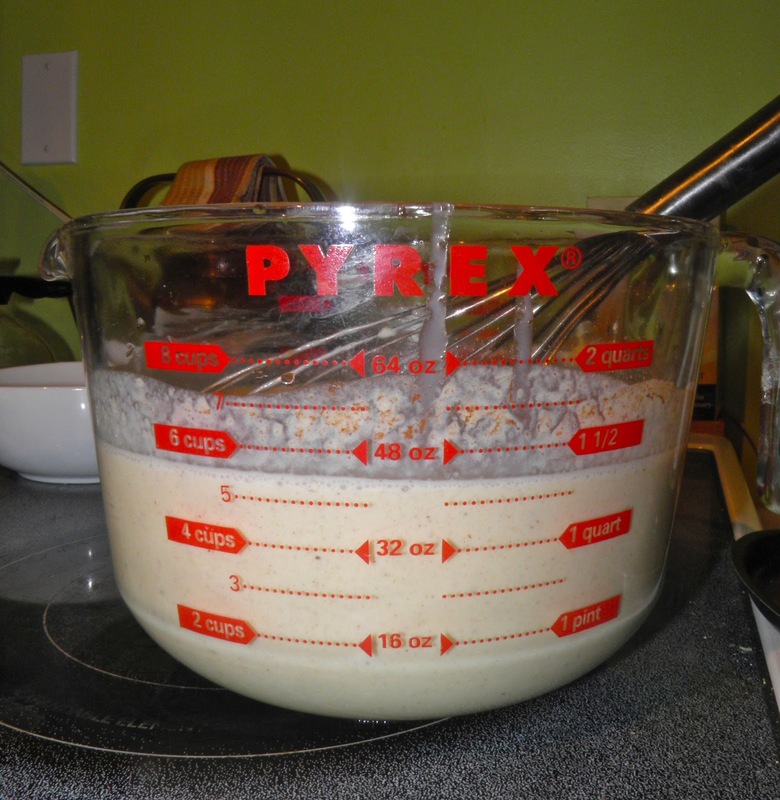 Mix all ingredients together in a bowl or container. 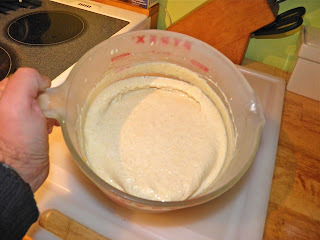 Then use one of two following methods to freeze your yogurt. 1. 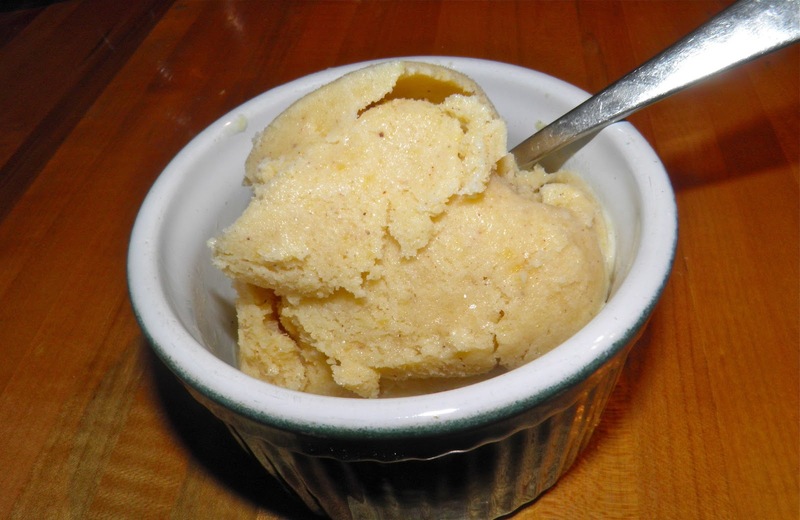 If you have an ice cream maker freeze in the regular way until a smooth, creamy consistency. Depending on your machine it may take as little as 15 minutes. It should hold its shape when scooped with a spoon. Decant into a freezer-proof container. 2. If you don’t have an ice cream maker you will have to do some hands-on work. Chill the mixture for 3-4 hours in the freezer of your refrigerator. Whisk well every hour for the first three hours. 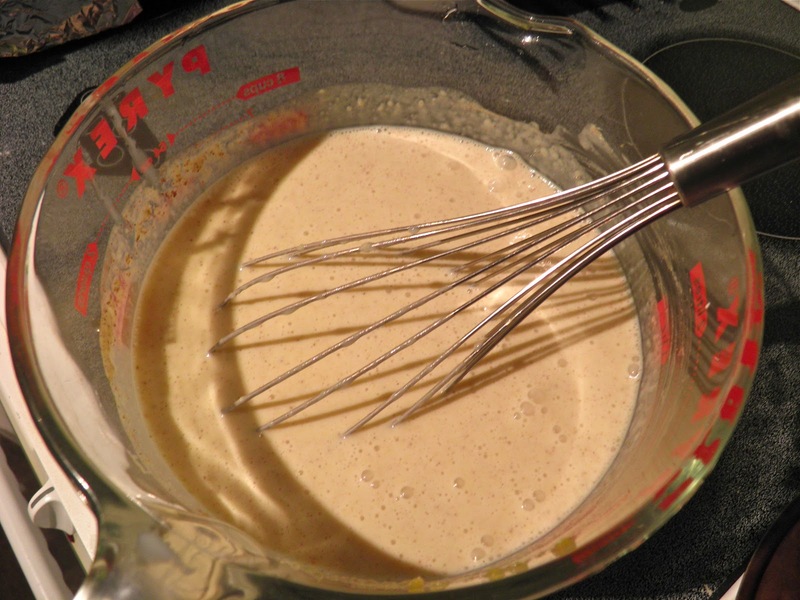 Take care to whisk in the edges of the container where it starts to freeze. Once it has started to set decant into a container and freeze overnight. In the morning beat the yogurt again to smooth it out a bit. If using the ice cream maker your yoghurt will be smooth; if doing it by whisk the yogurt will be slightly grainy but every bit as tasty. Great served with honey flavoured graham crackers.